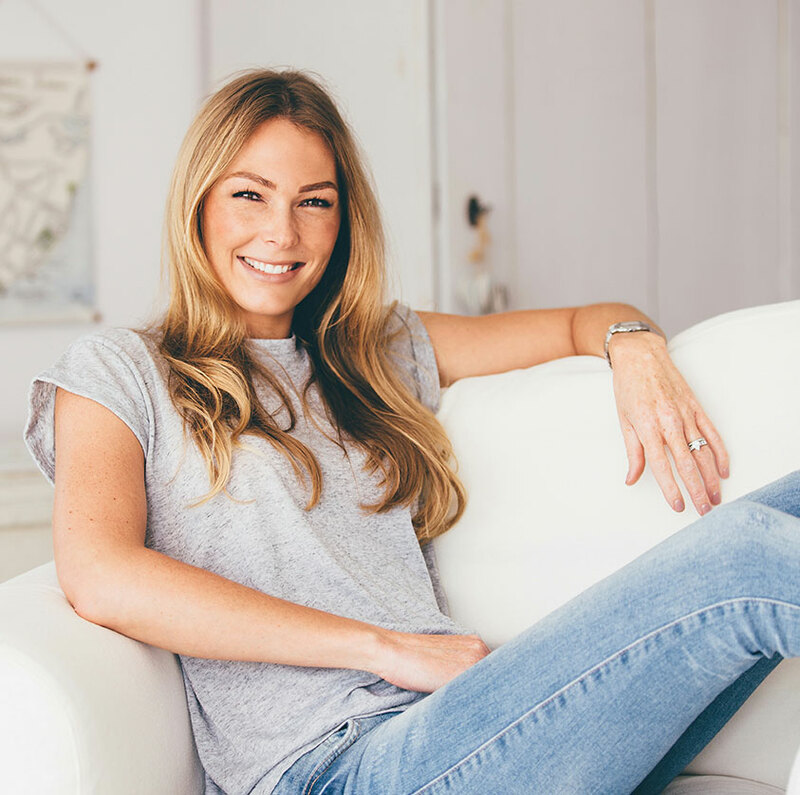 This blog post is written by celebrity facialist, skincare guru and St. Tropez Ambassador Michaella Bolder for the #YouSetTheTone campaign in association with St. Tropez Tan. My love for skincare started over 10 years ago and still to this day I am an advocate that nothing quite beats glowing, healthy, sunkissed skin. But more than anything, I love the feeling that comes with it and whether it’s one of my clients walking away with a big smile on their face after a treatment or even my own staring back at me in the bathroom, there is no denying that glowing skin isn’t just about how it makes you look, it’s how it makes you feel about yourself. It was the main reason I fell in love with my job to begin with. Making people feel great and confident about themselves made me feel like I did more than just my job, I actually helped that person smile about the way they looked. For this reason, I am so excited to be working with St.Tropez on their recent campaign, #YouSetTheTone that is championing just that. A campaign all about that feeling we all get from a freshly applied tan. Whether it’s the confidence to ditch the tights, wear a little less make up or even just that personal boost it gives after a hard week, tanning really isn’t just how it makes you look; it’s how it makes you feel. For me, self tan is more than just coverage, I tan regularly because it makes me feel like I’ve got my act together. Choosing clothes in the morning is easy because I am not afraid to show any skin…so any outfit works! I love the compliments I get when people say to me “wow you are glowing” after a simple sweep of tan on my face that morning. I started working with St.Tropez 6 years ago where I trained as a professional tanner and I am so excited to be back with the brand this summer not only because I adore the products but I trust them completely to deliver the results I want both for my clients and myself. 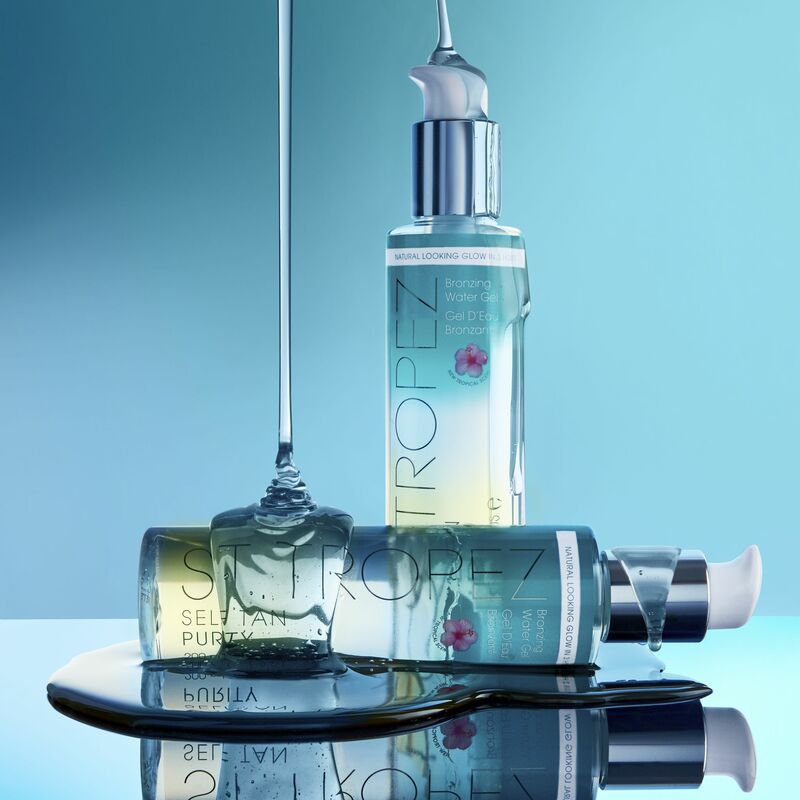 St Tropez has held its name high in the beauty industry for as long as it has been around, not only for their technology and innovative ideas but their efforts to keep iconic products updated and always being ahead of the game by bringing skin kind, natural and vegan products to the market that deliver the same fantastic and reliable results. There is still however so much misconceptions about tan. Who else still thinks about oompa loompa orange or that infamous ‘fake tan smell’ when the topic of fake tan comes up? Trust me, I’ve seen it all and tanning has come a long way and more than anything, there is no longer one shade fit’s all. In the words of St.Tropez, you set the tone! They have a wide range of products that work to everyone’s lifestyle so whether you like to set time aside for your beauty routine, need something to fit to YOUR schedule, want just a hint of a glow or are looking to get seriously bronzed, I guarantee you will find something for you. The technology also means that all of the products adapt to everyone’s skin tone so even those who don’t think they suit a tan, can and it will look natural every time. 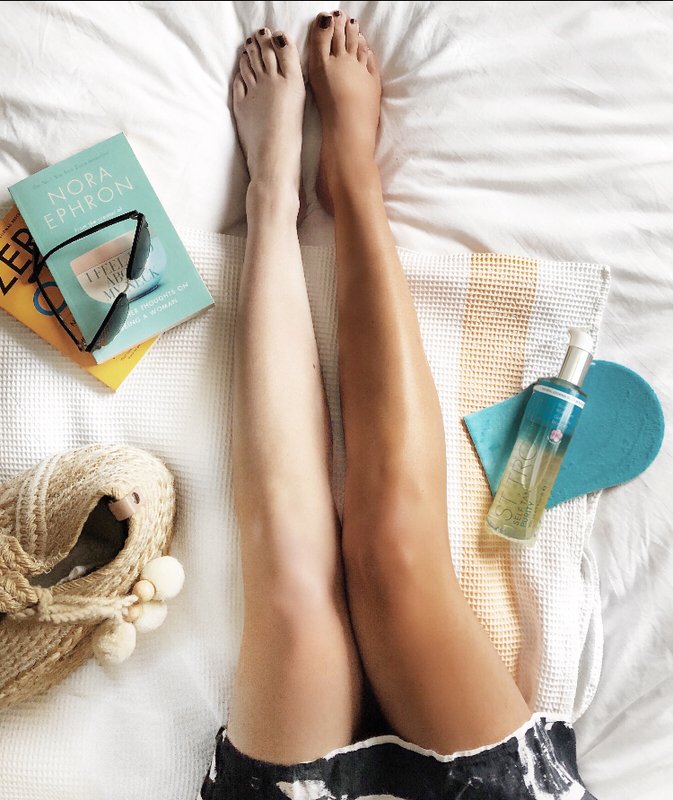 I could write for hours about each tan and why you should choose it but my absolute favourite right now has to be their NEW Self Tan Purity Bronzing Waters. If you haven’t heard of them, where have you been? The range first launched last summer and it perfect for new tanners and those who have loved the products for a long time. 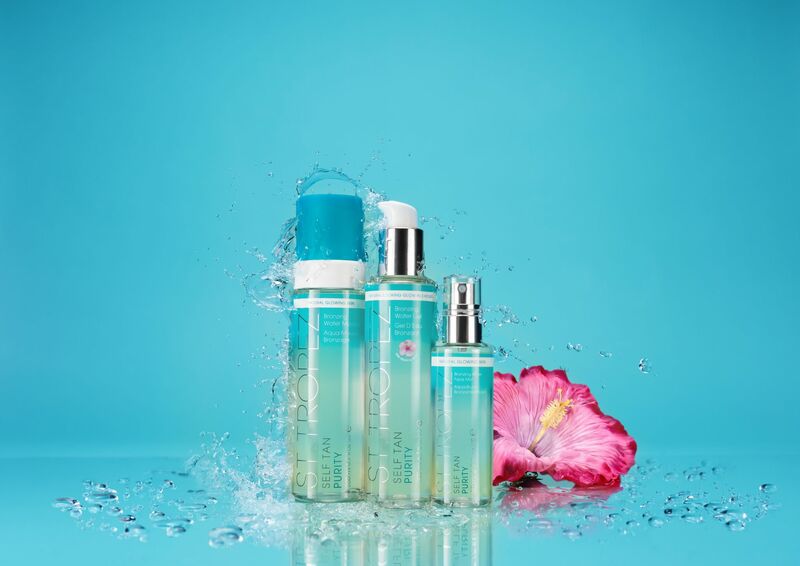 There are 3 products: all are water based tans that have no need to rinse and no transfer due to the clear formula and better yet… they all smell tropical! That’s right, no more waiting for a spare few hours. You can apply & go and your tan will develop in 3-8 hours. Their new Self Tan Purity Bronzing Water Gel is my new favourite as the lightweight gel (not sticky, I promise) turns to water as it touches the skin and glides so easily, I even find I get more out of the bottle. It also gives you a slightly deeper tan than the mousse with a glow in just 3 hours which I personally prefer. The skincare specialist in me gravitated to this one when I heard about its skin care level Hyaluronic Acid benefits. Not only does this ‘holy grail’ ingredient give the skin an immediate hydration boost, but it increases moisture levels over time with usage too…meaning each time you apply Purity Gel Tan to feel amazing, you are adding both short and long term hydration! All of them require minimal effort, give a great wearable tan all year round and of course, doesn’t just make your skin look good, it makes you feel good too once when you see that fresh glowing tan. As I mentioned there are lots of products in the range so if you’d prefer a product with a visible application colour or want to build up each day there are plenty to choose from. I’ve popped some of my other favourites below so let me know which ones you choose but also join us in our campaign and tell us how #YouSetTheTone! Prep is always key, DO NOT underestimate what preparing your skin can do for your tan, a quick scrub or use of ‘Tan Remover’ will prepare your skin no end leaving a fresh smooth surface for your tan to lay without those pesky dry cells present. Don’t forget to remove unwanted hair at this stage or even the day before is also recommended. Layer oil free moisturiser on your hands and feet before applying any tan, this will dilute the tan amount leaving you safe and sound with no need to worry about unwanted tan. I work from the top of the body downwards, so arm to arm then torso down to the legs for an evenly dispersed tan. Using long sweeping motions also allows you to spread the product out and gives your tan a smooth even finish. Always use a mitt for a flawless result and to prevent any tanned palms! Spritz your hands and feet with Purity Face Mist if you are afraid of too much tan on those dryer areas! – Self Tan Express Bronzing Mousse is a trusted icon for its gorgeous instant colour that allows me to shower off in just 2 or 3 hours so I can get on with my day, or shower off right before I jump into my bed of white sheets! – Gradual Tan Watermelon Moisture Miracle – this dream cloud of hydration delivers a deeper gradual colour than you are used to so one application really sets your glow off without having to wait days for it to build. 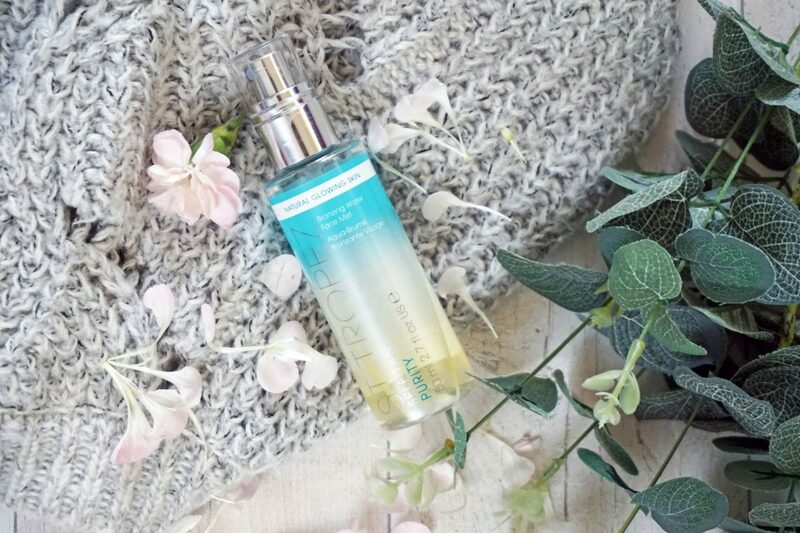 Mature skins are also a great advocate for this beautifully scented moisture surge… .I am also a lover for my mid-week top up and will be one of my summer essentials just so my skin can smell of watermelon! – Self Tan Classic Bronzing Mousse is a legend in its own right and for good reason too! This award winning product has gotten so many of us through the dark years of tanning with the most incredible colour and yet still the same solution answers so many of our tanning issues. This year St Tropez introduce a Watermelon version to get your senses going leaving a delicious scent on the surface of your skin that will leave people wondering if you have tan on at all!